WhatCha.xyz is an online service, that tracks anyone’s number on WhatsApp and give you a detailed log on when your victim goes online or offline. After you register on the website, it’s free, Login to your account and add the number you’d like to spy on. After adding the number, go to the Logs page and from there everything will be self explanatory. Using the Time Line, you can tell when the number went online first today and wen used WhatsApp last yesterday. This is purely to show how easy it is to spy on you using whats app . This post has been written keeping the non-computer geeks in mind to educate them on the topic . Please Share to spread awareness . Hacking Wifi via Android Phones Easy : Secure your Networks ! Hacking Wifi via Android Phones Easy : Secure your Networks ! Secure your Networks ! War Driving is when a hacker travels to any vicinity to hack a wifi network . earlier this was limited due to the baggage of carrying the laptops …. Now with Android Smartphones becoming more computational and powerful , War Driving is easier than ever . Now all you need is an Android phone to just hack the Wifi networks anywhere you go . War Driving At Rise , the need of securing our Wifi networks is even more . Once an attacker is on your network , all sorts of internal attacks are possible , such as MITM , ARP Poisoning , DNS Poisoning , SSL Strip and what not . Therefore it is advisable to use strong encryption to secure the Wifi Networks . Here is a quick Tutorial for the Penetration testers to Demonstrate How easy it is to hack Wifi networks using a Simple Application freely available on Play Store . 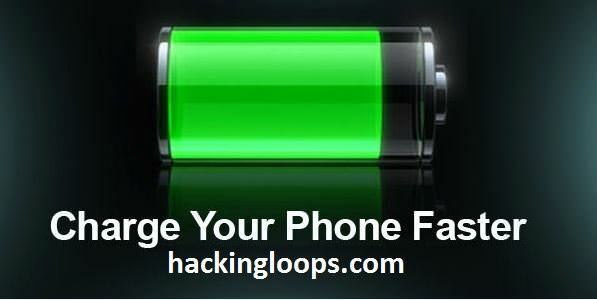 #Author of this post holds no responsibility of the Damages you do or happen to your device . This is purely for Educational Purposes . The First step here is to Root your Android Phone . The Application that plays an important role in our Penetration testing needs the Root Privileges . One can freely use google for more applications that can help in the Rooting of your Android Device . There are lots and lots of them present , Just Google and you can find plenty of Applications that Root Android Device . Install Any ! For the Sake of this tutorial we will take example of KingRoot App . Open king root, Click the mystery button and wait. If you see a green check then you rooted your phone. #Note: After that, KingRoot may ask you to install KingUser to take control of root permissions [king user is like Super SU] . # Be very Cautious while giving Root permissions to an Application . Root Permissions Allow to alter anything in your Android Device . Author Hold no Responsibility for any damages done by this App . Once you open WPS connect , this application will ask for a root permission . Click allow. Click on the refresh icon up you should be able to see some wifi to hack. click on the wifi you want to hack, choose a pin, wait. Note:This wouldn’t hack 100% the wifi you want. Though many will be hacked . There are lots of other applications present on Play store that will help you in hacking the wi-fi . Just Google. 2-Try to hack every single one of them,try different wps pins. This way,When you are near that wifi your phone will Automatically connect to that wifi. Note: After you re open the Application latter you may see the password of a Wifi you were hacking. How to know if that happened with you?